My NEW BOOK is almost ready to release into the world. 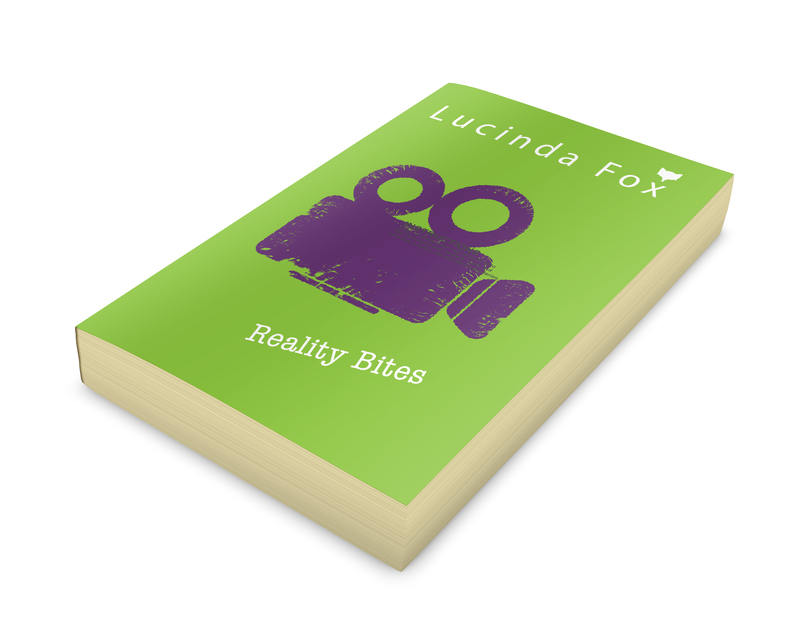 Reality Bites is all about what happens when a reality TV company makes a show about Lydia’s family. If you’re read Mummy’s Girl then you’ll know that things are unlikely to go entirely according to plan. If you haven’t read Mummy’s Girl then what are you waiting for?! Read it quick before the new one comes out. Reality Bites will be on a book shelf near you in the next three weeks so keep your eyes open. Mummy’s Girl has hit the virtual bookshelves of Amazon with the Kindle edition being made available for £0.99 and the paperback for £5.99. This is the first instalment in the Kitty Cooper Series of books by Lucinda Fox, following the adventures of a group of friends as they navigate the choppy waters of their teenage years. The book centres on the life of Kitty, a teenage girl who is seeks out her birth mother when she believes that her adopted Mum is treating her unfairly. It deals with the tricky issues of young people trying to find their identity and how the grass is not always greener. The first reviews for Mummy’s Girl are starting to appear on Amazon and so far so good. The readers appear to be enjoying the story of Kitty and her adventures. Thank you to everyone who has read the book so far and don’t forget, if you do wish to leave a review on Amazon then it would be greatly appreciated! If you would like to receive news about my books then I need some information from you. Please fill in the boxes below and click submit. I promise to keep your details safe and will only use it to send you updates about my writing.